To live in a lush green clean world we actually need 3x present CO2 levels ~ 1,200ppm…..ask a botanist. 385 ppm, 535 ppm, 685 ppm, 835 ppm. Trees have been growing significantly faster since the 1960s. The typical development phases of trees and stands have barely changed, but they have accelerated – by as much as 70 percent. This was the outcome of a study (based on 600,000 individual tree surveys conducted since 1870) carried out by scientists from Technische Universität München (TUM) based on long-term data from experimental forest plots that have been continuously observed since 1870. Their findings were published recently in Nature Communications. When you plant a seed in a pot, the plant grows almost entirely from the CO2 in the air (but takes a few trace minerals the soil). Just about all of the plant (from microscopic plankton to giant Sequoias) starches, sugars, cellulose, etc is built from airborne CO2. The rise in CO2 has been, and continues to be, a net benefit to the biosphere. There has been no global damage or harm as a result of the rise in that beneficial trace gas, which has been up to 20X higher in the geologic past — without ever causing runaway global warming. “trees exposed to enhanced CO2, (550ppm) in the gigantic open air Hawkesbury River climate study, grow 35% faster than their neighbours in the control group”. A 35% increase in growth rate, and improved drought tolerance – what’s the downside ? ‘The signature of rising temperatures and heat stress are already showing on yield of wheat and maize’. Remember when you thought granddad was daft for talking to his prize wining plants in the green house, the reason they won prizes was partly CO2 fertilisation from his breath. So he wasn’t that daft. I cannot believe that there is so much apparent ignorance of what goes on in the commercial world of horticulture and has done for at least 40 years. The major growers of glasshouse tomatoes have been supplementing CO2 (at ˜ 1,200ppm) as a very important aspect of yield increase, this is achieved by running pipes near the crop row so that CO2 can be discharged into the plants; this allows the plant to photosynthesize faster, use 30% less water, fix Nitrogen more efficiently, & increase crop yield by up to 40%. Three components allow for the continuation of life on earth via the basic functioning of Photosynthesis whereby plants take in CO2 and in combination with the ‘H’ from water (H2O) manufactures carbohydrates, which represent at least 75% of the plants food requirement – the ‘O2‘ is released into the air and provides the oxygen that we and other living animals etc use to sustain our lives. 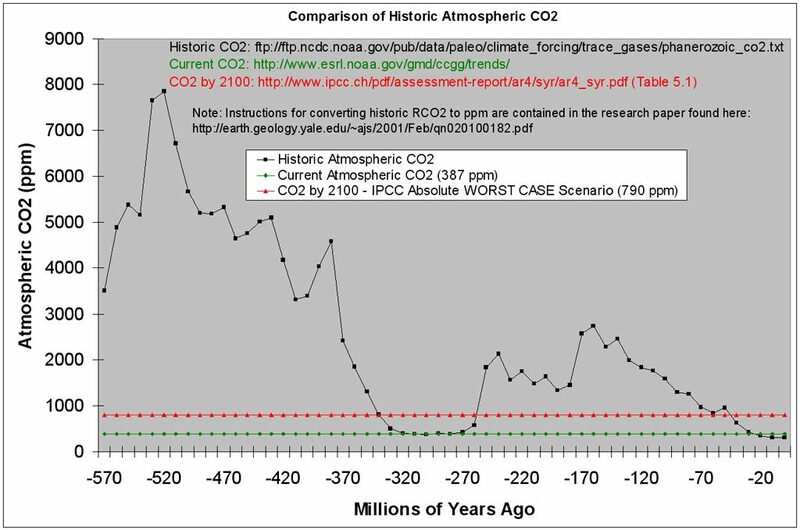 Historic atmospheric CO2 showing that the biosphere is currently starved of CO2. Notice that CO2 has been up to twenty times (20X) higher in the past — without ever causing runaway global warming. Why would it this time ? 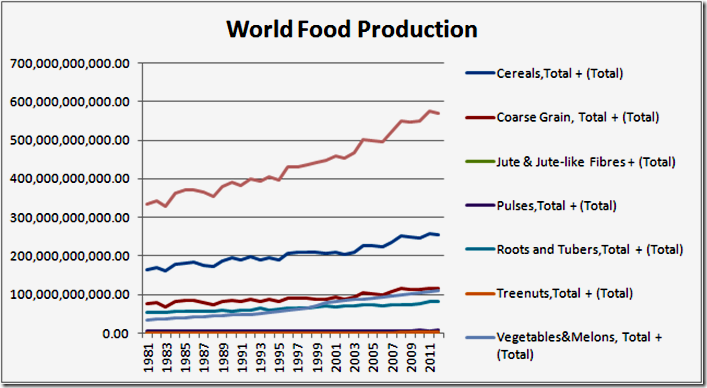 The basis of our food…Plankton and plants enjoy CO2, so should we.